West Bend East High School social studies teacher Scott Lone is taking a trip to the birthplace of Hitler for spring break. Lone will leave for Austria Wednesday and arrive on Thursday to begin a transnational seminar Thursday evening that will focus on how Austrian educators teach the Holocaust to students. He and six other US teachers will meet 23 Austrian and Italian educators. The seminar will last a week with most of the time spent in Innsbruck, Austria. He plans to return to Wisconsin March 27. Lone was selected to be an Olga Lengyel International Scholar-Teacher for his dedication to studying the Holocaust. The Olga Lengyel Institute was named after a Hungarian woman who was the only one in her family to survive the Holocaust at Auschwitz. The Institute was founded to educate students on human rights and social justice. “It was a phone drop,” Lone said about being asked to join the trip by the Institute. Lone and the other teachers will be learning from each other. “I will be able to understand how teachers from foreign countries teach the Holocaust and get an idea of how the Holocaust is taught in Austria,” Lone said. Austria is where Adolf Hitler was born and raised. Lone has earned a great amount of respect from his students who have been taught the Holocaust in his classes. “He deserves to go because he taught us everything we know about the Holocaust,” said West sophomore Tanner Schultz, a former student. 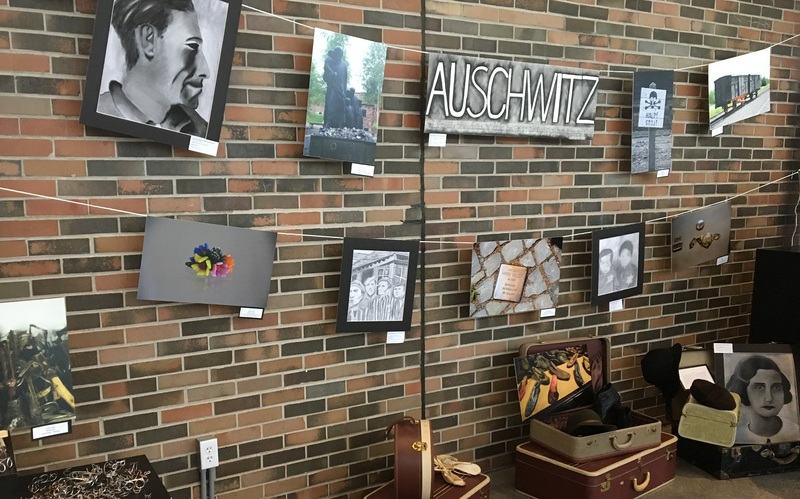 Last year Lone invited Nate Taffel, a Holocaust survivor, to speak to WBHS students and also helped organize a Holocaust Art Show featuring work by local students. In addition to teaching at WBHS, Lone leads a five-and-a-half day seminar in the summer. This seminar is for teachers sponsored by the Olga Lengyel Institute. “It is awesome to have a teacher from our school, West Bend East, head over to a whole other country to teach others,” East assistant principal Jennifer Johannsen said.